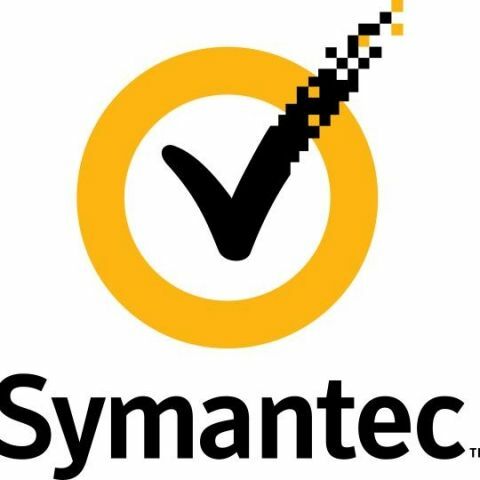 Symantec has published a report on the activities of Suckfly, a cyber-espionage group. As per the report, the group conducted campaigns against a number of targets including government and commercial organisations in India. Symantec identified a number of attacks over a two-year period starting from April 2014. While these attacks occurred in several different countries, the company noted that the main targets were individuals and organizations primarily located in India. Suckfly spent more time attacking the government networks compared to all but one of the commercial targets. Additionally, one of the two government organizations had the highest infection rate of the Indian targets. 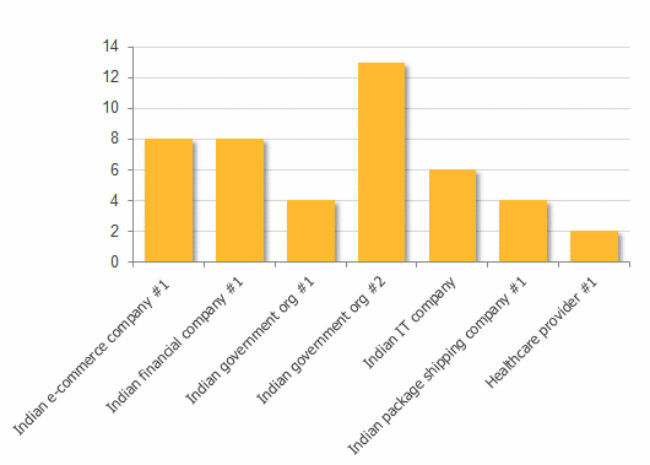 Indian government org #2 (Ref Fig 1) is linked to departments of India's central government and is responsible for implementing network software for different ministries and departments. The high infection rate for this target is likely because of the organization's access, technology, and information that it has on other Indian government organizations. Suckfly's attacks on government organizations that provide information technology services to other government branches is not limited to India. They have conducted attacks on similar organizations in Saudi Arabia, likely because of the access that those organizations have. 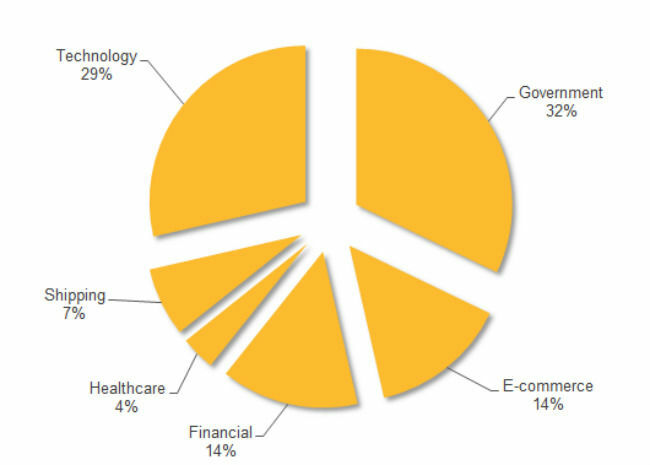 While most of Suckfly group's attacks are focused on government organisations (32%), technology (29%), e-commerce (14%), financial (14%), shipping (7%) and healthcare (4%) were also targeted by this group. One of the attacks Symantec investigated provided detailed insight into how Suckfly conducts their operations. In April 2015, Suckfly conducted a multistage attack conducted between April 22, 2015 and May 4, 2015 against an e-commerce organization based in India. Similar to their other attacks, Suckfly used the Nidiran backdoor along with a number of hack tools to infect the victim's internal hosts. The tools and malware used in this breach were also signed with stolen digital certificates. Read more about the Suckfly attack cycle on the blog. Suckfly targeted one of India’s largest e-commerce companies, a major Indian shipping company, one of the largest financial organizations, and an IT firm that provides support for India’s largest stock exchange. All of these targets are large corporations that play a major role in India’s economy. Attacking one of these organizations would be detrimental to that organization. By targeting all of these organizations together, Suckfly could have had a much larger impact on India and its economy. In Suckfly has the resources to develop malware, purchase infrastructure, and conduct targeted attacks for years while staying off the radar of security organizations. Symantec believes that Suckfly will continue to target organizations in India, and similar organizations in other countries to provide economic insight to the organization behind Suckfly's operations. In 2015, Symantec’s Internet Security threat Report (ISTR) had highlighted the rise in targeted attacks aimed at Indian businesses dealing with critical infrastructure. Further the latest edition of the report (ISTR 21) highlighted that Indian organizations were the 6th most targeted in Asia, with targeted organizations on the receiving end of two attacks on an average. 40 percent of BFSI businesses were also attacked at least once. The nature of the Suckfly attacks suggests that it is unlikely that the threat group orchestrated these attacks on their own. Symantec believes that Suckfly will continue to target organizations in India, and similar organizations in other countries to provide economic insight to the organization behind Suckfly's operations. When will be available in indian stores?